Well I’m about 400% done and over this week and would love to end the day drinking margaritas but apparently that’s frowned upon when you’re pregnant so I guess I’ll have to settle for sitting in my pajamas eating peanut butter M&Ms. 1 – Kyle finished up the last bit of painting in our room last week except for the doors. We are also short one piece of trim so we’ll have to deal with that at some point and we still need to pick out crown moulding and put the nook together but for now everything is as done as it’s going to get until after the nursery. Don’t get excited though because I don’t have any pretty pictures to show you and probably won’t for a while. Everything that’s in the current craft room and office has to be relocated so we can put in new floors and then transition the rooms into the nursery and guest room which means our room is about to become half sleeping area and half storage. Sorry! 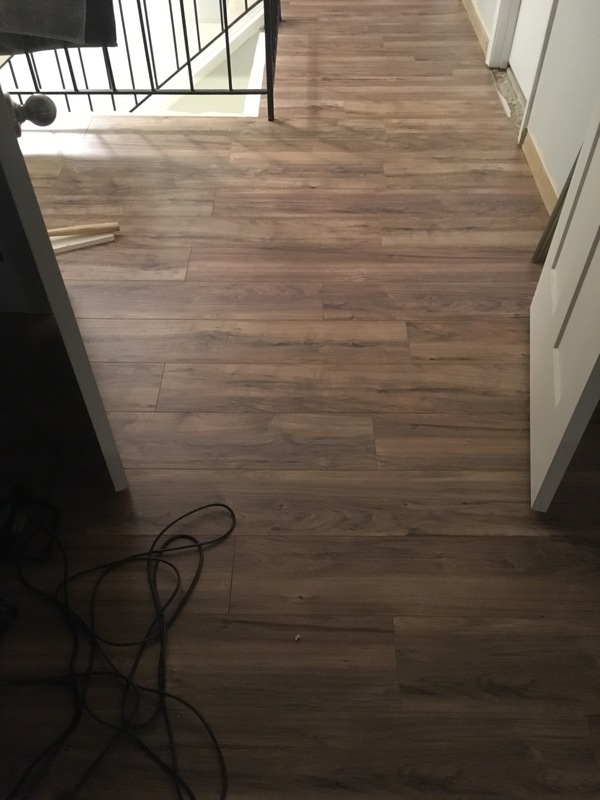 2 – We’ve made progress with the new floors in the hallway and have gotten pretty much as far as we can without moving onto the next phase. Our plan this weekend is to pack up/clean out the nursery and guest room and hopefully start pulling up the carpet. We definitely won’t have enough time to start putting in the new floors until next week/weekend. 3 – It’s Fall, y’all! 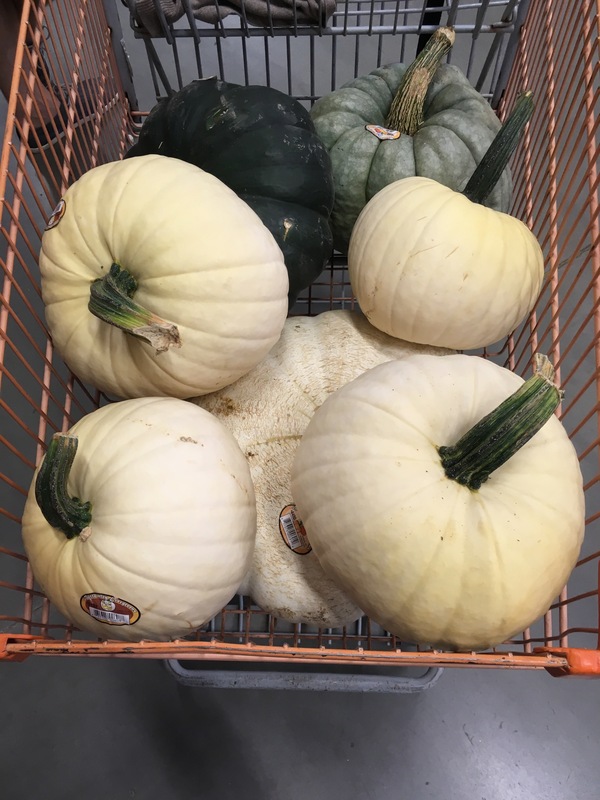 It’s also still 80 degrees but did that stop me from buying a completely ridiculous amount of pumpkins for our front porch? It did not. 4 – I’m trying to nail down a few pieces for the nursery and I can’t decide on this ottoman or this pouf to use with the glider. I like the idea of the soft pink but also really like the warmth and texture of the pouf. I just don’t know! I think I need to get everything else in place before I decide. I kind of feel like I might end up buying both and seeing how they look in the room and then just returning whichever one I don’t choose. 5 – I looked at my reading list for 2017 and it’s so pathetic. I had my goal set at 26 books this year but I’ve only read 3. THREE. I just haven’t been in much of a reading mood and with only 3 months left in 2017, I don’t think I’ll even get close especially since we just upgraded our Hulu account to their live package which means I’ve been reunited with HGTV. Now if you’ll excuse me, my pineapple PJs are calling and I must go.